The Kalmyk Loop knot is a rather nice little loop knot that I understand has its origins in Russia. It is gradually becoming more well known in other parts of the world. 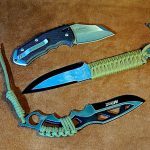 It would also seem that the Kalmyk Loop has been adopted by the Bushcraft enthusiasts. 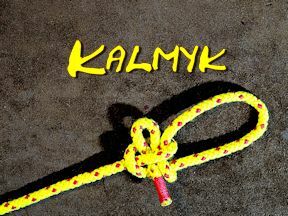 The Kalmyk Loop is relatively easy to tie and also untie even if it has been under load. 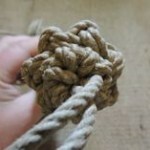 It is another one of those little knots, that once you learn how to tie it, you do not easily forget it. 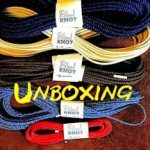 Once Mastered the Kalmyk Loop is a very fast knot to tie. 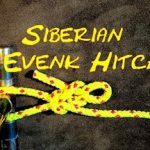 When I first learnt to tie the Kalmyk Loop, I thought I was doing it wrong, as I ended up with a rather dangerous slip knot. I even had to remake this video as I felt strongly that people should be aware on the tightening up procedure. In the drawing you see the actual shape of the knot, so when tightening you want to preserve this shape! 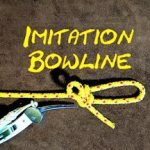 If during the tightening process you allow it to misshape, then you will find that you end up with the dangerous version that I kept tying.